Once you’ve gone on a green-juice kick, right away you begin to see all the natural benefits of consuming a high quantity of nutrients on a regular basis. 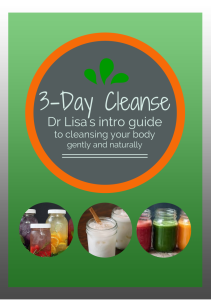 You skin begins to glow, your energy skyrockets, your aches and pains go away, you may even lose weight. . .just to name a few of the oh-so-many perks. Then one day, life creeps up on you. You’re rushed in the morning and don’t have time to juice. You go on vacation and don’t feel like hauling your juicer in your suitcase (yes, I am both amused and impressed that my brother actually does this AND juices in hotel rooms). You, like me, run out of fresh vegetables and have nothing to juice. Or, hey, you have your moments of feeling really over the whole thing because you know that after you juice, you’re going to, once again, have to clean that darn juicer. So, you slack. A couple days won’t hurt, right? Until a couple days turns into a whole week. And a week turns into a month. And before you know it, you’re fat, tired and dreary looking. No, I’m just kidding. However, when these things do arise, I am super grateful I have a HIGH quality quick-fix in my back pocket. Okay, it’s actually in my pantry. And it’s called Phytoganix™. Phytoganix™ is USDA organic, assuring it is produced, processed, and certified to be consistent with national organic standards. All plant ingredients in Phytoganix are from certified organic farming systems that exclude synthetic chemicals in crop production. A 2 teaspoon (5g) serving in 8oz of water is only 20 calories! INGREDIENTS: ORGANIC FLAX (LINUM USITATISSIMUM) SEED POWDER, ORGANIC INULIN, ORGANIC BEET (BETA VULGARIS) ROOT POWDER, ORGANIC FLAVORS, ORGANIC CARROT (DAUCUS CAROTA) ROOT POWDER, ORGANIC CRANBERRY (VACCINIUN MACROCARPON) FRUIT POWDER, ORGANIC RASPBERRY (RUBUS IDAEUS) WHOLE FRUIT POWDER, ASCORBIC ACID, ORGANIC ACACIA GUM, ORGANIC GREEN TEA (CAMELLIA SINENSIS) LEAF POWDER EXTRACT, ORGANIC GREEN BELL PEPPER (CAPSICUM ANNUUM) FRUIT POWDER, ORGANIC SPIRULINA (ARTHROSPIRA PLATENSIS) WHOLE PLANT POWDER, ORGANIC ACEROLA (MALPIGHIA GLABRA) FRUIT DRY EXTRACT (ON MANIOC STARCH), ORGANIC STEVIA (STEVIA REBAUDIANA) LEAF EXTRACT, ORGANIC SPINACH (SPINACIA OLERACEA) LEAF POWDER, ORGANIC BLUEBERRY (VACCINIUM SPP.) WHOLE FRUIT POWDER, AND ORGANIC GINGER (ZINGIBER OFFICINALE) ROOT POWDER. To order your very own container of Phytoganix™ visit the Dr Lisa’s Online Store and enjoy 20% off your entire order along with FREE shipping. Set up automatic reorders and continue to receive 10% off your future shipments. 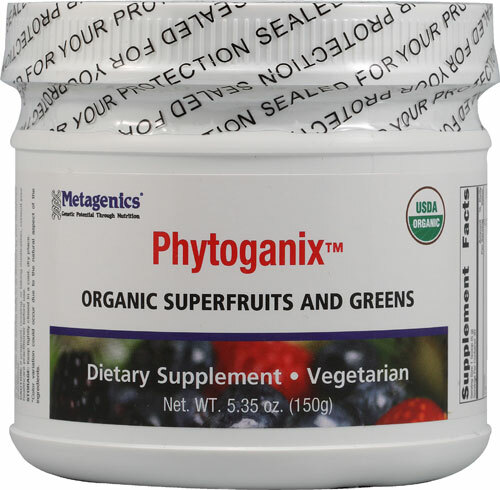 Metagenics is a fabulous line that offers some of the very highest quality products available.